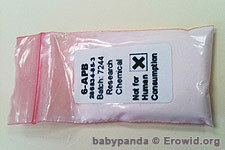 6-APB is a synthetic chemical that became available via online vendors in 2010. It's a euphoric stimulant with empathogenic effects. Like many euphoric stimulants, some users report taking repeated doses more often than they initially intended.